A desolate futuristic setting matches hard-hitting action sequences perfectly, but the generic plot disrupt film's impact. Rosa Salazar plays titular role in Alita: Battle Angel. Alita: Battle Angel is the movie adaptation of Yukito Kishiro's manga Gunnm, and a long-due passion project for filmmaker James Cameron. In some of the previous attempts, filmmakers failed infusing Hollywood and Anime (Ghost in the Shell); but with Cameron as producer and Robert Rodriguez as director, can anime fans finally rejoice? Alita: Battle Angel is set in a dystopian world where the rich reside above the ground in the hovering city and the teeming masses yearn to join them for their comfort. Dyson Ido (Christoph Waltz) is a cyber-surgeon who takes abandoned cyborg shell and restores it. He names it Alita (Rosa Salazar), who has the heart and soul of a young woman with an extraordinary past. Alita with her child-like curiosity learns to navigate her new life. When the deadly and corrupt forces that run the city come after her, Alita discovers her history and the real power she wields. Alita: Battle Angel is your stock standard teen action film with thrilling action that involves chasing, running, and those split second action scenes that take your breath away. This film is full of those and this is exactly what made for an intense and exciting 3D cinema experience. Sadly though, the film primarily lacks fresh ideas and a solid script. The film starts out great with promise but soon unravels into a sticky mess of futile subplots and unnecessary melodrama. The film is genuine at heart, but its storyline is so hackneyed that nothing seems to affect you the way that it should. Director Robert Rodriguez, who has previously shown his skills in imaginative, absorbing filmmaking in 'Sin City', does not equal that triumph in 'Alita: Battle Angel'. Only portions of it come near. As he proved with his previous work, Rodriguez certainly has a firm grip on handling the gritty action sequences. Here, Rodriguez has created a beautifully designed and realized world. A desolate futuristic setting matches hard-hitting action sequences perfectly, but middling characters and generic plot disrupt the film's impact. There's also an unnecessary romantic angle in the film which could have been avoided. 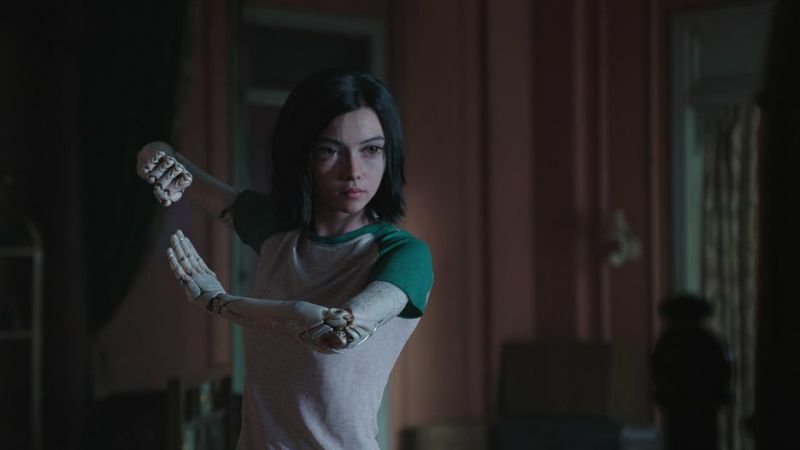 Barring visuals, Alita: Battle Angel doesn't aim to be ground breaking or thought provoking in any way. However, still thumbs up for the actions and the nicely done setting. They are the best part of the movie. 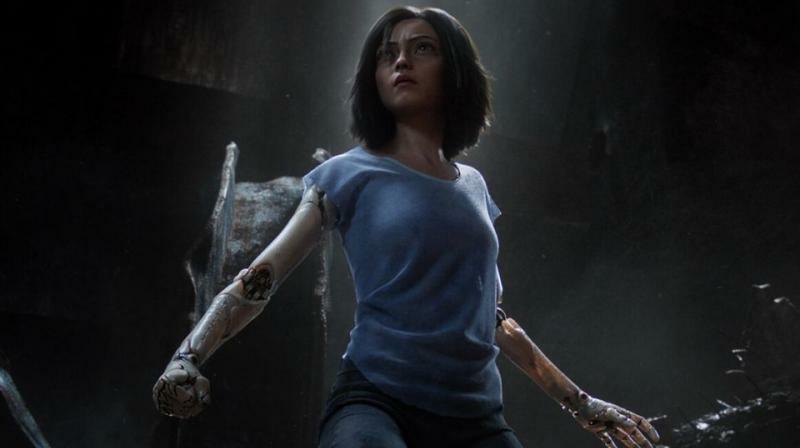 The film also manages to balance its iniquities with a very able lead performance by Rosa Salazar which keeps Alita: Battle Angel from being completely forgettable. Salazar's nuanced performance is the heart and soul to the film and her facial expression into Alita's CG face is a remarkable technical achievement. Christoph Waltz shares a warm chemistry with Alita and he does well in his brief role. The otherwise brilliant Mahershala Ali and Jennifer Connelly are largely wasted in a robotic, paper-thin performance, adding little complexity to an already rudimentary plot. Alita: Battle Angel is entirely too heavy-handed and insubstantial to leave a desired impact. The effort may be extremely noble and respectable, but the finished product falls severely short. Ultimately, the real star is the look of the film.